Rainbow Slush | DSL Inc.
Rainbow Slush from DSL is a great way to implement your very own completely branded slush program for your store. 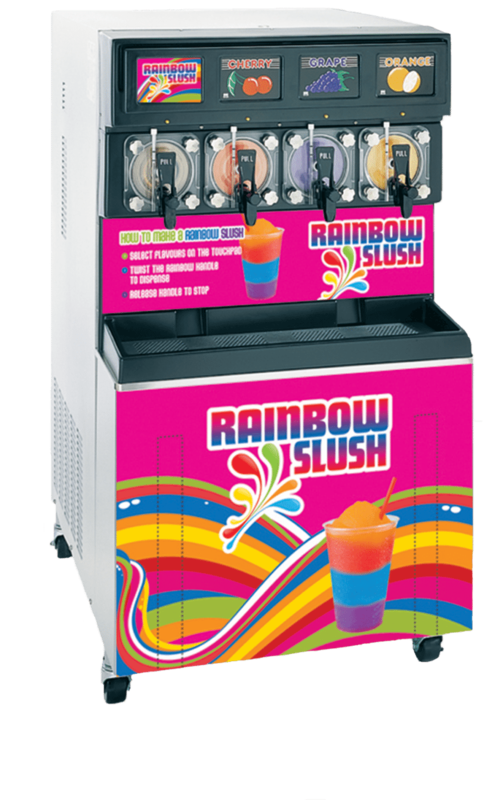 With Rainbow Slush you can have 8 additional flavors on your slush machine, meaning you can serve up to 12 flavors from a single 4-barrel unit. It’s all operated by a user-friendly touch screen that can even layer flavors to create an eye-popping and delicious experience for users. 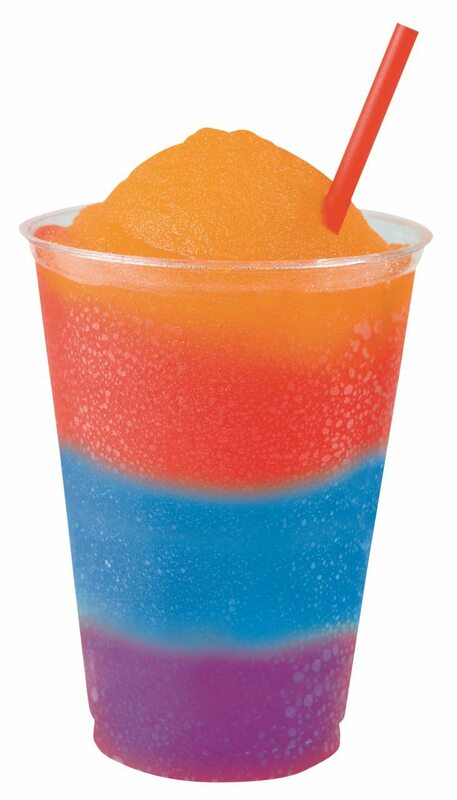 The Taylor 349 is used around the world by industry leaders such as 7-Eleven and Mac’s to produce delicious slush. Combined with the Flavor Burst touch screen unit it becomes a serious force to be reckoned with, letting this 4-barrel unit serve 12 flavors. The Rainbow Slush program comes complete with branding! You’ll easily attract the attention of everyone who enters your store with these bright and colourful graphics. Incluyded in the package are 1 Rainbow Slush graphics card, 1 Sticker for below the handles, and 1 magnet for the bottom of the machine. Flavor Burst is the secret ingredient that will make your program pop and stand out from the crowd. Delicious, attention grabbing and profitable, Flavor Burst takes your slush program to another level.